As the walls rise, the ” honey pit” gets deeper. Everyone is peering into it in this photo. 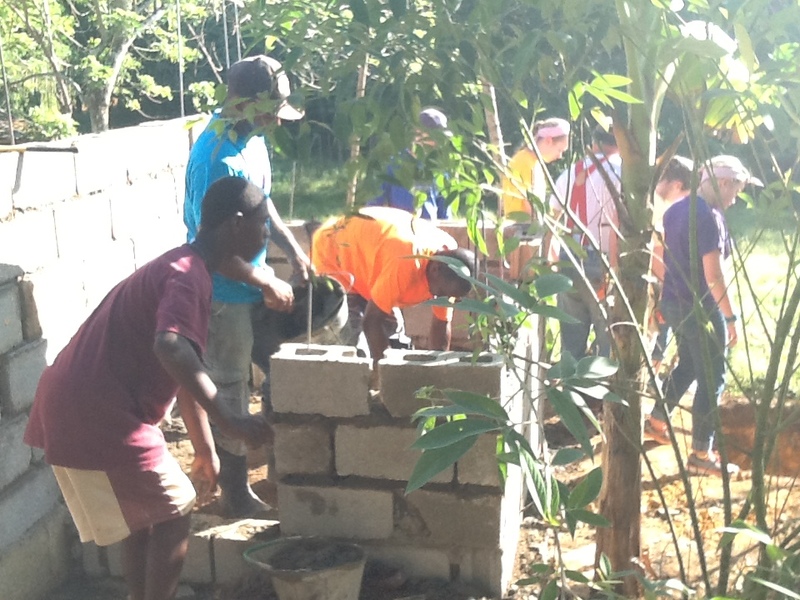 Peter, T and Isaac were in charge of this – among many other helpful diggers and bucket handlers.